You are here: Home / Home - Featured / Courtroom Cover-ups and betrayal; business as usual! 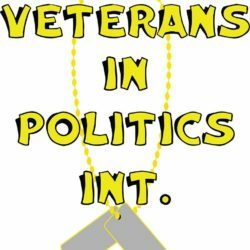 Veterans In Politics International Inc. have been observing courtrooms since 2004 and what we found would make anyone wonder about how justice is served. We have judges that go on the campaign trail and lie to the voters about their work ethics. The judge’s claim that they work long and exhausting hours in the courthouse. But, the truth is that some judges work a part-time schedule by working half days, they come into work 2-3 days per week, or they work from home making over six figures of taxpayers’ dollars per year. When we observe, their court docket its blank or they just have a morning calendar. Most recently we let Clark County Chief District Court Judge Elizabeth Gonzalez know that Family Court Judge Mathew Harter was only showing up to work 2 days per week. Judge Gonzalez, doing the right thing, implemented a policy that all judges have to account for their time. We now have learned that many judges are having their courtroom Marshal’s badge them in and out of the building, in an effort to make the judges appear as if they are still in the courthouse working! The judges are campaigning for 15 more District Court Judges because they are convincing themselves and legislators that their caseloads are overwhelming. In our observations, we found out that most family court judges are doing everything in their power to keep litigants constantly in their courtroom. Judges take months and sometimes years to make a decision, they constantly look for faults with litigants in an attempt to have them assigned to several different third-party entities, and they take children away from the protective parents and hand them over to the abusive parents in an attempt to keep the protective parents fighting for their children. The Judges grease the wheels of local attorneys that appear before them by keeping them employed by the litigants, in an effort to have the same attorneys give to their reelection campaign. The Judges ignore and make it difficult for pro-se-litigants and tell them to ‘show up with an attorney if you want to see your kids’. Some judges will do anything to protect their courtroom marshal. Marshal’s that are assigned to a judge has a sworn duty to protect a judge from bodily injury. Below is an example of how the Judges can be apt to make excuses and falsely protect the Marshal’s when they are breaking rules. In the case of Clark County District Judge Stefany Miley, her courtroom Marshal Jason Dean was recently suspended for 30 days without pay for using profanity against a litigant, failing to identify himself when asked by a jurist and blocking the video tapping by a litigant in a public forum. All of these actions violated the Eighth Judicial District Court Cannon Rules. There have also have been several allegations for intimidation, racist statements and excessive force that has been going on for years. Judge Stefany Miley still defends him and keeps him on the tax payer’s payroll. Society should be alarmed at the number of family court judges that ignore and or are uneducated on many federal, state and constitution laws, Nevada Revised Statues, Code of Ethics and Cannon Rules. The judges that are confronted about their knowledge of the law tend to claim that they are using their ‘discretion’? Some judges are unprepared when they sit on the bench, they have not read any of the motions, they prejudge litigants without hearing all the facts, they fail to follow the chain of evidence and allow outrageous hearsay allegations to be admitted into evidence. The Judges fail to swear in the litigants before asking them questions, they cancel a case on the drop of a dime having no concern for the litigant’s time. The Judges use the bench as a way to harm an individual or an organization that they do not agree with. As an example of this: Family Court Judge Bryce Duckworth used the bench in an attempt to discredit Veterans In Politics International for going after a corrupt Family Court System! really who is going to make the system accountable, clearly not the system themselves! Duckworth provided no evidence and had a prewritten statement before any court session was heard. Duckworth uses this opportunity as a catapult to be elected by his colleagues to be the Presiding Judge in family court. If Duckworth could ignore the law with someone that knows the system and is represented by an attorney, could you just imagine how he has handled a pro-se-litigant that have no idea what they are getting themselves into? Who are we trying to help in the courtroom, when people go to family court they are vulnerable and surely not likely to be criminals? Why are we treating them as such? Judges fitness for the bench? It has been brought to our attention many judges, especially in family court abuse alcohol, prescription drugs, and illegal drugs and/or have a mental unbalance that can be a detriment to their job. Many judges bring their bias to the bench whether it’s religious or a life experience. In return, this can affect many litigants that appear before them. How can we prevent further damage to our justice system many people have asked? The suggestions are easy to implement possibly by having an optional jury trial in family court. Another policy should be to drug test judges and their mental capability. In this state in which judges are elected, we need to have a policy in which the judges state on the record: that if a law firm or an attorney donated to their political campaign it should be stated in the courtroom. If we do not try to clean up the devastation that has plagued our courtroom, we should stop electing judges and move to a Missouri Plan, appointing the judge and then go to the ballot box for retention (get voted in). The Department of Family Services (also an entity of family court) is no angel in this matter. We have caseworkers that have perjured themselves to take children from biological parents on mere allegations. In most cases, evidence has not been presented and court dates that have been changed without notification to the parents. In doing so the family can lose custody for not showing! Sources have come forward and verified that caseworkers are promoted by the number of children they place in the foster system and the state receive money for each child placed in the system. This type of structure is traumatizing and devastating to children on a long-term scale. A child’s family should be the first option instead of a stranger wanting a paycheck (extended family: Aunts, grandparents, etc.). It was reported to us that many judges in family court arbitrarily lock their doors to keep the public from entering, this is a violation of both federal and state constitution denying the public access to their courtrooms. There are no sealed cases and no cases have been motioned for closed hearings. They also have the courtroom Marshals play ‘stupid’ as if they did not realize the courtroom door is locked. We were also told by several sources that the gate Marshals communicate on the radio and inform all the Martial’s that Veterans In Politics Court Observers are in the building. 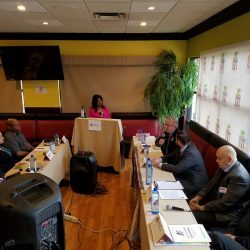 In the matter of the State vs. Family Court Judge Rena Hughes, it was determined that Hughes did not understand the law and had a problem expressing the truth. Hughes was sanctioned by allowing her to go back to Judicial College at her own expense and remain on the bench. Hughes should have had a harsher sanctioned and be removed from the bench. 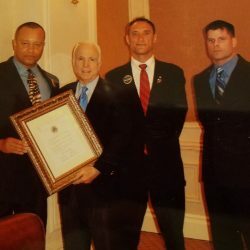 Veterans In Politics International has filed many complaints with both the Nevada Judicial Disciplinary Commission and the Nevada State Bar and we have reached the conclusion that hardly any true progress would take place, it is like the fox watching the hen-house! All judges are attorneys and they all belong to an organization that has about 7,281 active lawyers who are members of their prestigious organization the ‘Nevada State Bar’. All Judges and attorneys have one thing in common and that is to protect each other unless the major news media outlets make a story about it. This is beyond disgusting, both of these organizations will do what it takes to dismiss your complaint or minimize it in secrecy. The Nevada Judicial Disciplinary Commission is a government body filtered by tax dollars. If this organization refuse to do its job as a government watchdog then we need to find another method to rectify bad judges. We are the only organization in the state of Nevada that court observes and we have an open public tapped endorsement interview process. We look for the best person to do the job beyond political affiliation, name recognition, and financial access. Please pay attention to all of our endorsements especially in 2020 when all 52 Clark County District Court Judges are on the ballot for reelection. We are not saying all Judges within the Eighth Judicial District Court are bad. What we are saying is that we need to recognize and remove the bad judges that are placing the entire organization under the microscope.